Tropical houseplants like Aglaonema, Philodendron, pothos, and Sansevieria are some of the season’s must-have home accessories. There’s an undeniable excitement among consumers for houseplants. On Instagram, the hashtag #Houseplants has more than 1.3 million pieces of content and is rapidly growing every day. In the media, we’re seeing houseplants covered by mainstream publications like The New York Times and The Wall Street Journal. 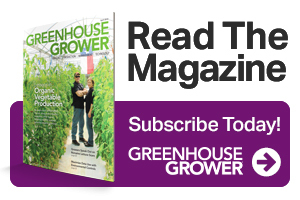 And several retailers are seeing double-digit increases in houseplant sales from last year. While there’s no one demographic that’s buying all the houseplants, we are seeing Generation Y (folks born between 1980 and 1995 or so) driving a great deal of the interest. It makes sense — indoor plants are relatively inexpensive and they’re fantastic home décor items. Numerous scientific studies tie houseplants to improving both our physical and psychological health and wellness. As such, tropicals like Aglaonema, Philodendron, pothos, and Sansevieria have gone from hanging out in the back corner of the store to endcaps and other prime retail real estate. These plants are some of the season’s must-have home accessories. Spend a few minutes on social media platforms like Instagram and you’ll see how consumers are decorating with these plants in their homes. They’re appearing in almost every room — kitchens and bathrooms, bedrooms, living rooms, offices, and dining rooms. You see some, especially larger plants, as specimen pieces, but more frequently, different varieties are grouped together, creating the oh-so-trendy urban jungle look. Fiddle leaf fig (Ficus lyrata), Monstera deliciosa, Pilea Sharing Plant (Pilea peperomioides), and succulents are some of the hottest plants of the moment. 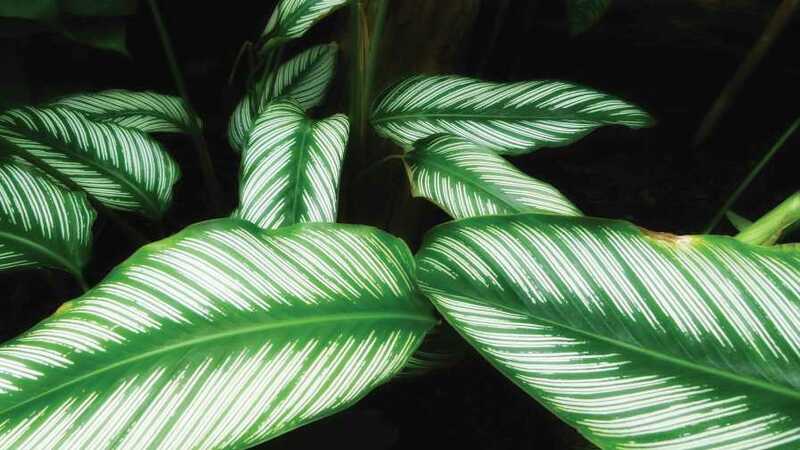 Other easier-care varieties, like Chinese evergreen (Aglaonema), Philodendron, pothos (Epipremnum aureum), snake plant (Sanseveria), and ZZ plant (Zamioculcas zamiifolia) are taking the lead of the up-and-coming crowd, though. One of the best ways to position houseplants at retail (or for your retailers) is to take advantage of their health and wellness benefits. There’s NASA research to highlight how plants remove common, health-harming volatile organic compounds or VOCs (like formaldehyde, benzene, and xylene) from the air. The Journal of Physiological Anthropology reports that being around plants can reduce stress levels. And a study at Texas A&M University shows how plants can help us at work by boosting our memory, concentration, creativity, and problem-solving skills. Indoor plants where we live, learn, heal, and work also have far-reaching positive effects on our well-being and indoor environments, according to a new report from the National Initiative for Consumer Horticulture (NICH), which has created a series of four #PlantsDoThat infographics that focus on the multitude of ways indoor plants affect where we live, where we work, where we heal, and where we learn. Tags and signage are an easy way of letting consumers know that attractive, and relatively inexpensive houseplants, are the perfect way to help shoppers, especially younger ones, feel better at home and live their best lives. Now’s also the ideal time to set up houseplants as great gift items. After all, what’s more thoughtful than an easy-care plant that could, with good care, live for decades, and improve the life of the recipient every single day? A lush trendy fiddle leaf fig or monstera in a nice pot, for example, would make for an outstanding birthday or housewarming gift. Plants with patterns and variegated foliage, such as prayer plant (Maranta), Calathea (pictured), and zebra plant (Aphelandra) are trending on Pinterest. Plants that have big, bold texture are particularly hot. This is largely why plants like fiddle leaf ficus and monstera are so popular right now. Plus, it’s easy for consumers to equate big leaves with better air-purifying power. Plants that have variegated foliage. We saw patterned plants called out as a major trend on Pinterest, so it’s no surprise that variegated plants like prayer plant (Maranta), Calathea, and zebra plant (Aphelandra) are on fire. Plants that are easy to grow. Ultra-easy-care plants are hip choices as starter plants for those consumers who are giving houseplants a first try (or are trying again after swearing them off from bad experiences in the past). 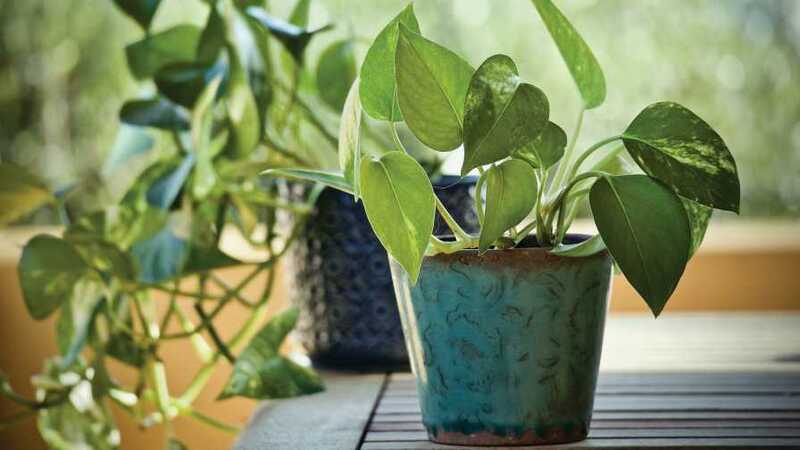 More experienced plant lovers also appreciate no-fuss varieties, though — especially less common forms of old standbys like ‘Moonshine’ Sansevieria or ‘Manjula’ pothos. 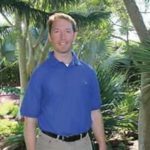 Justin Hancock is a horticulturist, and a Digital Marketing Manager for Costa Farms in Miami, FL. See all author stories here.